Show your South African pride this long weekend by participating in one of the many celebrations and parties taking place in honour of Heritage Day. 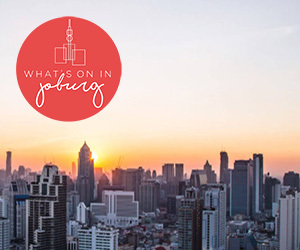 To make sure you get the most out of this Heritage Day, Benn van der Westhuizen has investigated some of the most fun and interesting events celebrating all things South African. Heritage Day should be about more than a braai with friends and family. Iziko Museums of South Africa hosts an annual in_herit festival designed to remind us how to connect to the root of what heritage means, in a week-long thought-provoking cultural programme. Entry into all of Iziko’s museums during the week of the festival is free, and many special events are on offer. Heritage Day itself sees a host of activities – including guided tours of the Groot Constantia Manor House; a memorial walk with ex-residents who were forcibly removed from Constantia; half-price shows at the Planetarium; cartooning and beading workshops at the Iziko South African Museum; live performances by Rainbow Dance Academy, Our Future Dance Group and The Marimba Jam Trio; a marine and terrestrial fossil casting and microfossil display at the Iziko South African Museum; and public engagement with Erhadt Thiel, the creator of iMadiba installation. Take a look at a more detailed schedule of all the events on offer in the in_herit Festival’s 2018 programme. AfroFest is a city-wide African Culture festival, showcasing musicians, arts, crafts, food and culture-makers to put the spotlight on all things indigenous. Various locations around the city offer day and night-time activities in celebration of Heritage Day. Its decentralised format makes it accessible to geographically dispersed participants, all unified under the banner of African identity, while showcasing and empowering independent culture-makers and venue owners in multiple suburbs. A wide variety of participating venues, activators, performers, artists, events and activities celebrating African culture takes place over three days (22 – 24 Sep), with the full schedule detailed in the 2018 AfroFest programme. Cost: Certain events are free while others require a fee. Find out more via The AfroFest’s programme or contact them directly. Heritage Day celebrations wouldn’t be complete without a braai and a party. Edgy neighbourhood dive bar with a subliminal punk and surf influence, SurfaRosa hosts a Heritage Day Fest, to which party-goers can bring their own meat for a ‘bring-and-braai’, and dance and socialise into the small hours. While their food is flame-cooked, participants can indulge in half-price Jagermeisters, and enjoy live music by some great local bands: The Medicine Dolls (Post-punk/Garage/Rock), PURE (Neo-soul/Future RnB/Afro), Lo-ghost (Alt-pop/Electronic/Ambient) and PXLS (Post-punk/Psych/Grunge). Nothing screams South African heritage like brandy and flame-cooked sausage. That’s why Hillcrest Quarry and DeLuxe Hub are hosting the Brandewyn and Boerewors Festival – two days of brandy, braai and live music. Saturday’s event is strictly for adults, but Sunday is a family day, with children under 12 entering free of charge and kids activities available to keep them entertained. 2018 brandy exhibitors are KWV, Klipdrift, Richelieu, Olof Bergh, Parow Brandy, Mistic Boer Brandy, Klipfontein Brandy, 100 Reserve, and Wellington. Saturday’s music line-up features Jay Jay, Sunset Sweatshop, Die Broers and an ACDC Tribute Band. Sunday sees performances by Jay Jay, Brendan Peyper, KayCee, and Oriana. Cost: R180. Tickets can be purchased here. The V&A Waterfront’s Expressions of Heritage sees the Silo District becoming a hive of activity offering a sensory feast of creativity, art, live music, food trucks, choirs, dancing, screenings of local movies and documentaries, roaming characters, fire-breathing Fire Poi dancers, buskers and comedians. Artists and performers on the night include Zapiro, Kwezi and Loyiso, Skumbuzo Grafitti, Dani Ngwenya, Yolanda Y’awa, and Phil and Yaaseen, amongst others. Jazz in the Native Yards presents a live performance by Msaki over the Heritage Day long weekend. Msaki’s compositions combine soulful folk with symphonic movements, Xhosa lyrics and African poly-rhythms. In 2013, she independently recorded and released an EP called Nal’ithemba, produced by Cobus Van Dyk. She then released her debut album Zeneliza: How the Water Moves under her label, One Shushu Day Artistry in 2016. Learn more about the ways of the San people at !Khwa ttu’s Heritage Festival, in which San culture is shared with guests in a celebration of the different heritages found in South Africa. Participants are invited to explore the fascinating exhibitions and evocative art; learn lessons directly from the San (including how to stalk the resident eland, zebra and springbok with San trackers); and listen as the San tell their stories. And there are also herbal tea tastings, traditional dancing, singing and tractor rides – all free of charge. And what is Heritage Day without a braai? Enjoy a delicious selection of braai cuisine on offer, and purchase refreshments at the bar and food bazaar. The Heritage Day Party in Heritage Square intends to celebrate both the history and future of South Africa in style. With the help of HQ, Roast and Co., Cape Heritage Hotel and The Courtyard, Heritage Square is transformed into a space for a proper SA-style soirée, featuring a line-up of key local artists bringing a diverse range of proudly SA musical flair. The headline ensemble on the day includes SA favourites Crazy White Boy, Goodluck, Apple Gule and Strange Loving. These artists are supported by DJs Chris De Vos, Anthea Scholtz, Funky G, Leyton Lee and Gio Ricca. Guests can also expect African face painters, dancers, percussionists, live artists and more.